Talking about the achievement, Mansoor al-Muhannadi, Khalifa International Stadium, project manager of Aspire Zone Foundation, said: “We are very proud of this recognition which highlights our undertaking during the renovation of Khalifa International Stadium to also make it a more sustainable venue. The award from Gord – a Qatar-based organisation – means the SC is also supporting a local company as it continues to make regular progress towards 2022. The SC requires every proposed 2022 FIFA World Cup Qatar stadium be awarded a minimum four-star GSAS rating in order to meet FIFA sustainability requirements for the 2022 FIFA World Cup Qatar competition venues. 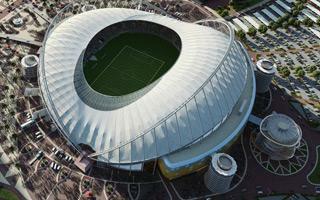 Al Wakrah Stadium received a four-star rating for its design in 2015. GSAS ratings for both Khalifa and Al Wakrah stadiums projects mean they are two of the most sustainably designed stadiums in the Middle East and North Africa region.